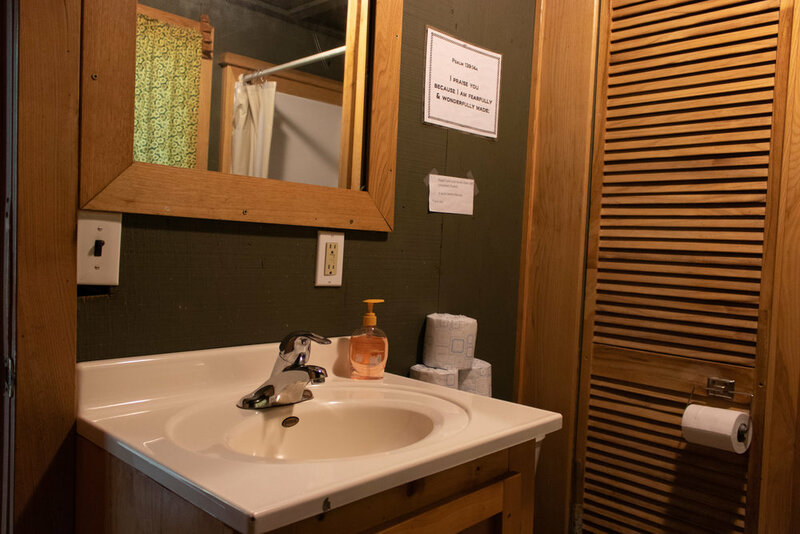 Texan is a heated cabin which contains a bathroom with one shower, one toilet, and a sink. 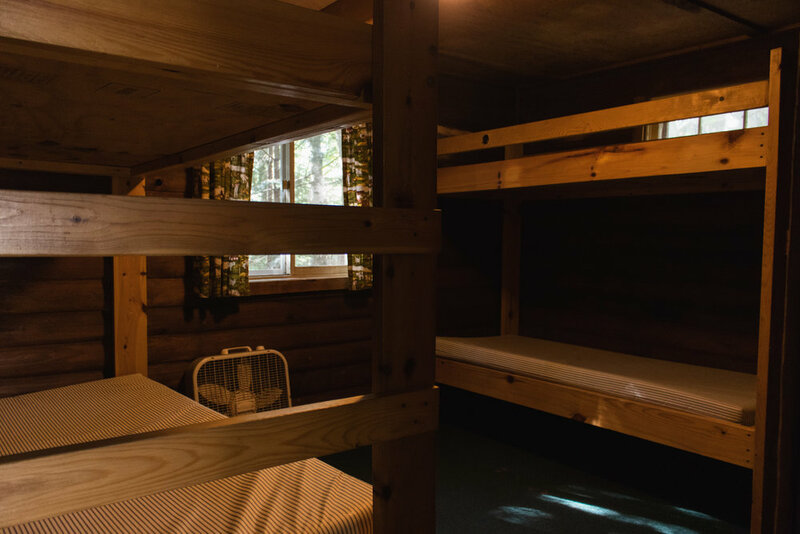 The beds are wooden bunk beds with foam mattresses. 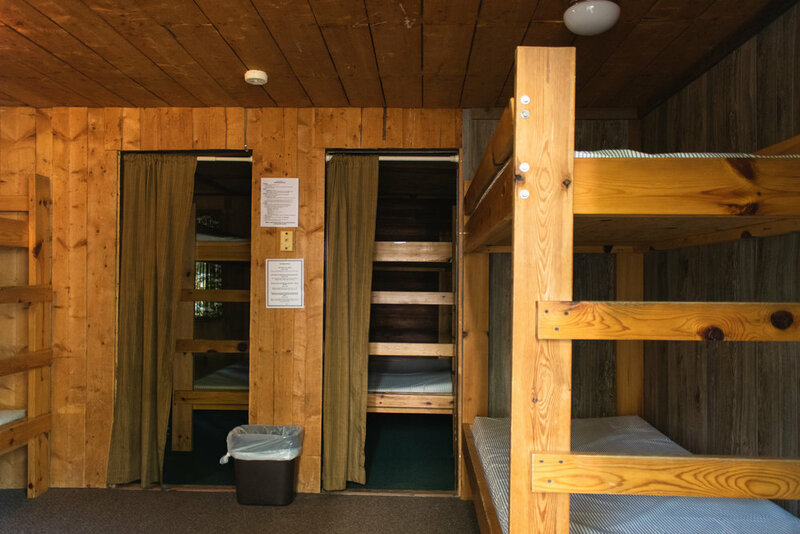 Texan contains 12 beds with one bottom bed being a double bed. Linens, pillows, and towels are not provided.